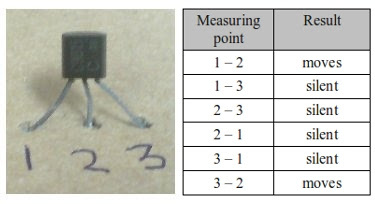 Almost all of analogue multimeter or AVO meter (Ampere, Volt and Ohm meter, as shown in the figure below), can use to determine terminals (base, emitter, and collector) and type of transistor (PNP or NPN). On this configuration, turn the knob multimeter's position on Ohm meter test or at symbol Ω. 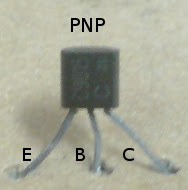 We've been able to determine base and collector of terminals transistor, then last is emitter terminal. How to determine terminals base, emitter and collector of transistor using digital multimeter? just click that link. Wow! This is a nice share. I didn't know this tricks that you shown here. Thank you for your nice sharing. Really got some good idea. The capacitor can store vitality in the electrical field, the inductor can store vitality in the attractive field, and the resistor can expand the potential distinction between two focuses Multimeter symbols. How to calculate power motor value in kW to HP?